The Gatsby party is heating up as we take you to a journey through this fantastical second part of our 3-part RB Gatsby Special Feature. 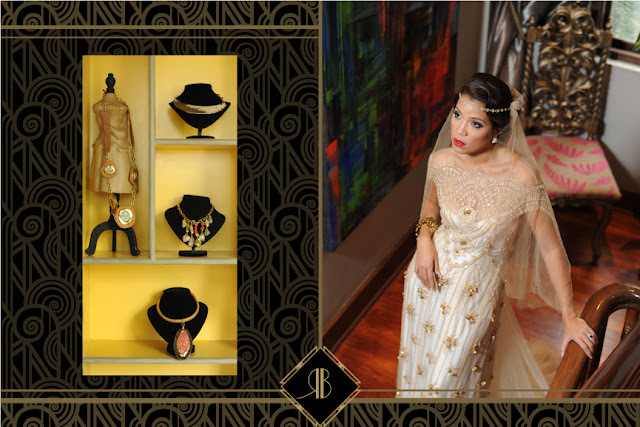 And this time around, our muse Amanda Tirol takes on the role of the charismatic, enigmatic, leading lady of the book/movie Daisy Buchanan as she models the works of The Cecilio Abad Design Team feat. Vidal Clayton. In this feature, we also finally reveal our Gatsby-worthy Anti-Reception venue location, Casa Roces Malacanan. So pop, fizz, and sizzle and enjoy! "It's so you! 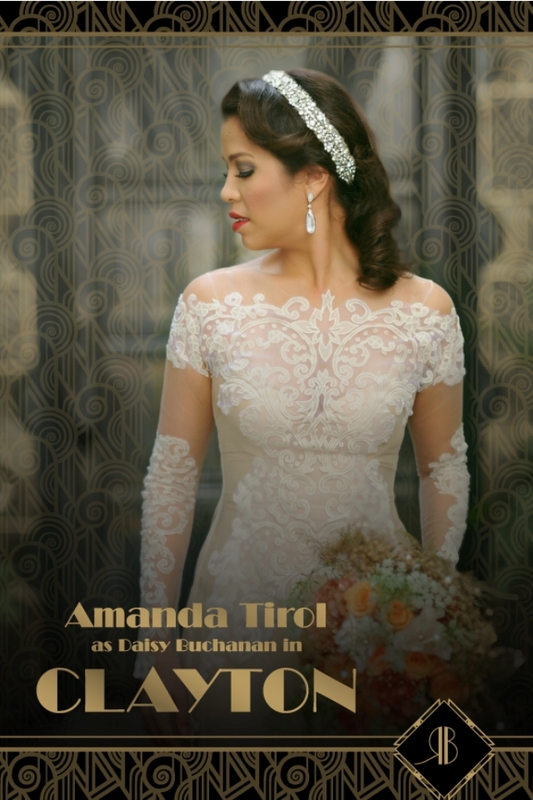 ", Madge Lejano tells me when Amanda comes out wearing her first Clayton gown. And I'd have to agree on that. Clayton is probably my most favorite gown designer right now--and if you've been reading the blog lately, we've been featuring a lot of his works. What's not to love? His gowns are very intricate but not too overbearing. There is a clear deviation from the typical white gowns but there is a balance between the classic and the fashion forward. 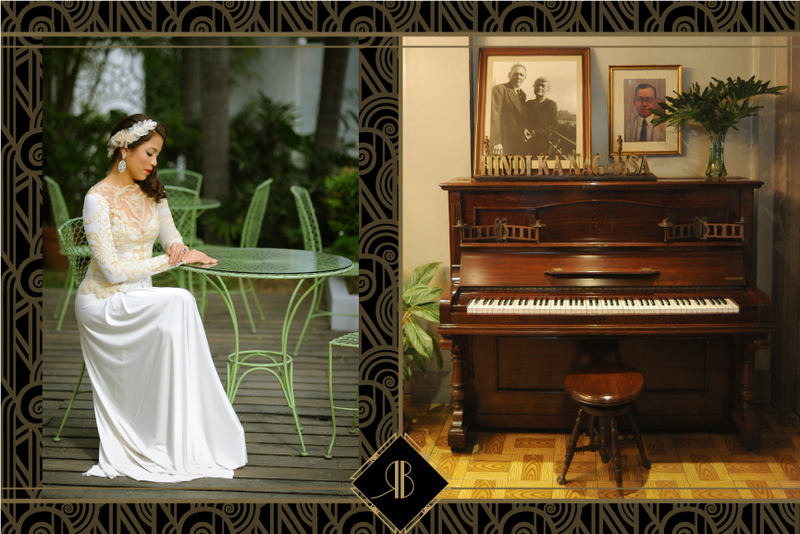 Clayton brought with him an array of gown selections for the shoot--each looking definitely something like what Daisy Buchanan would wear. In fact, the first time Daisy/Carey Mulligan appeared in the movie, she was wearing a fabulous gown for a dinner scene which left me rather breathless because the scene literally brought me back to this very shoot day. Clayton combines playful silhouettes, beading, cut work, and neutral tones perfectly. He knows how to accentuate women's assets and make you look mysterious and dramatic. He doesn't make you feel like a princess, knowing all too well that a rebellious bride can admit to herself that she's no dainty/innocent bride--instead, he makes you feel like an effortless QUEEN BEE. Here in Rebellious Brides, we've always encouraged our dear readers to look beyond the usual cookie-cutter reception venues. It's amazing how much depth and character an anti-reception venue can create when you marry your concept to a proper location that organically and genuinely looks like it. Enter Casa Roces, Malacanan. Though this place does not exactly date back to the 1920s, its 6o years of history is very rich and links to a lot of Gatsby parallelism. 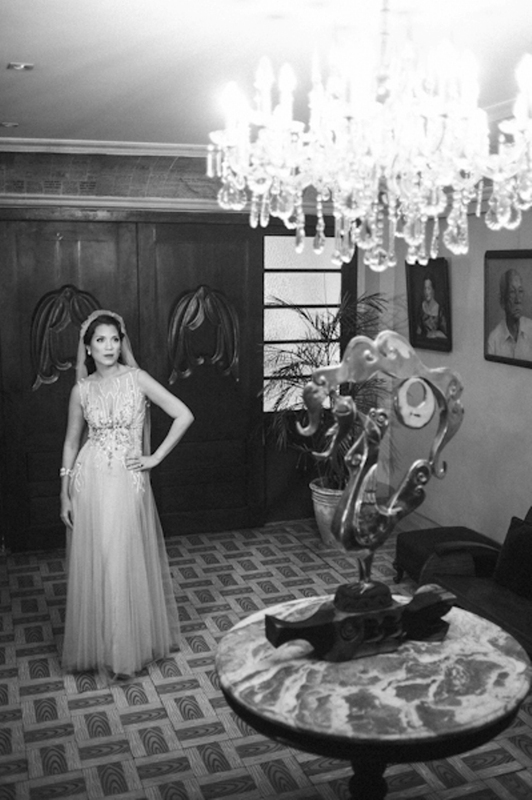 For one, this antiquated place used to be the "Entertainment House" of three prominent families namely the Legardas, the Prietos, and the Roces'. 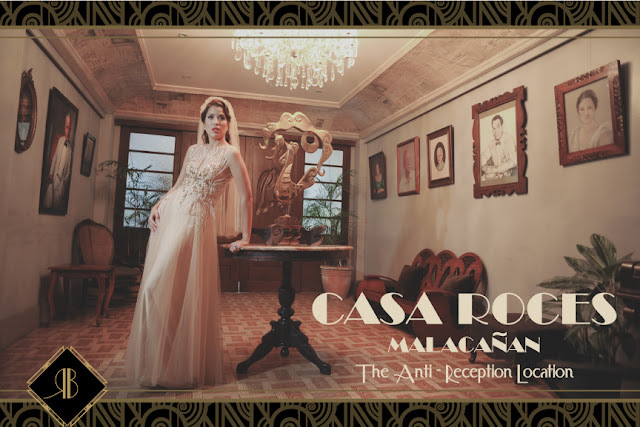 Entering in the Malacanan compound alone, and stepping outside of your car to enter the lobby of Casa Roces, already makes you feel like you are part of a thematic party scene. Styling is definitely one thing you'll save if you have your wedding here, that's for sure. From the vintage tiles, to paintings of past presidents and patriarchs, to well preserved valuable collections there is nothing much to add except maybe table numbers. 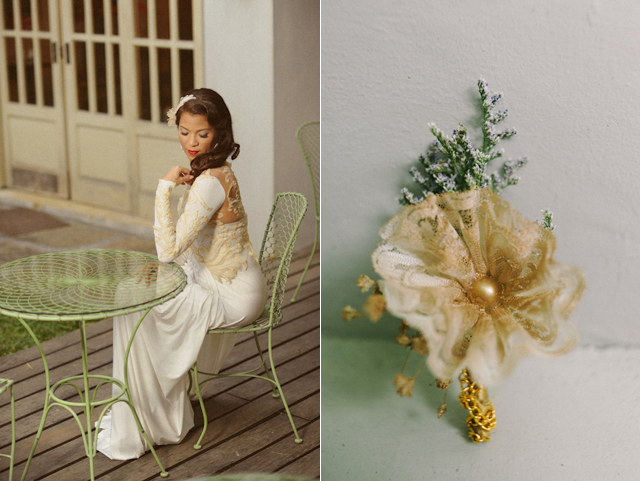 Even their garden is reminiscent of the golden graphic illustrations that is the signature of the Gatsby movie. Another parallelism is that of writing. 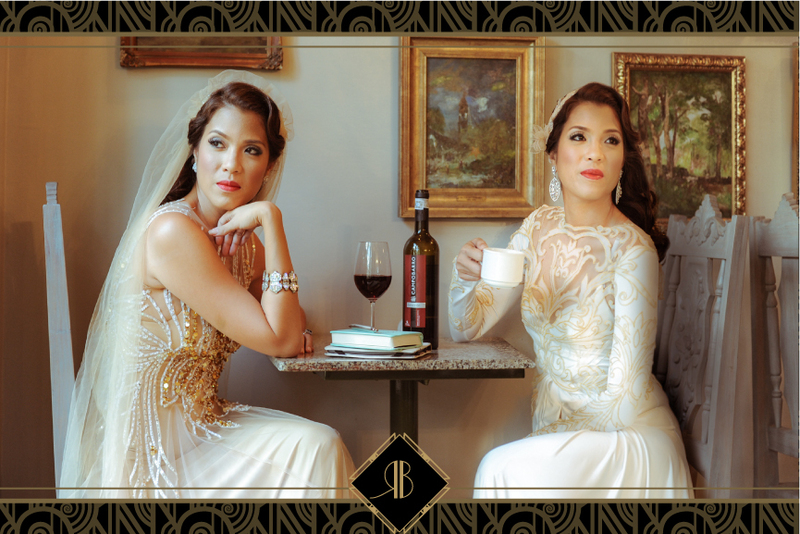 Gatsby is based on a novel whereas Casa Roces pays tribute to the generations of newspapers the family used to own. PNOY's favorite function room at the home/restaurant's second floor features framed newspapers that transports you to a different period in time as you read the headlines and bylines. 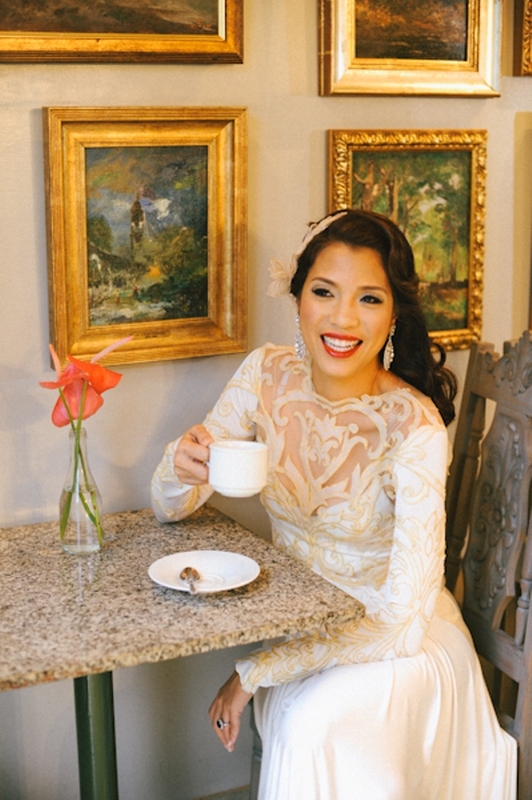 Casa Roces is now solely owned by the Prietos, and the F&B features family heirloom recipes of Spanish-Filipino fare. 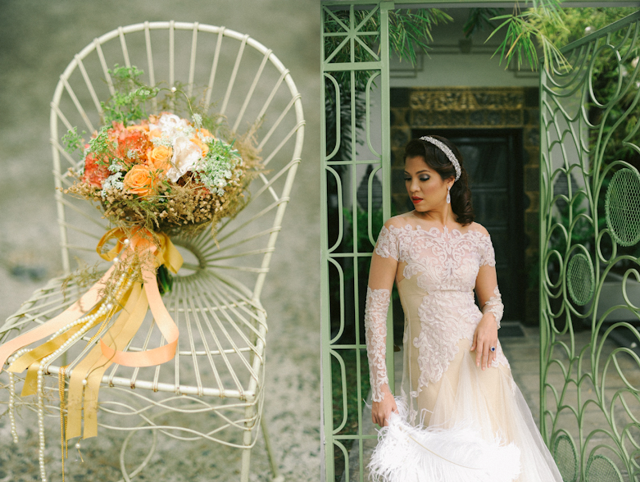 Whether your wedding is an intimate part of sixty or a grand affair of 300, Casa Roces can definitely accommodate it due to its 2-floor plan and al fresco garden area. What I like about the place is that it feels light and airy even if it's a historical location. Other famous locations are quite frankly, a bit scary. 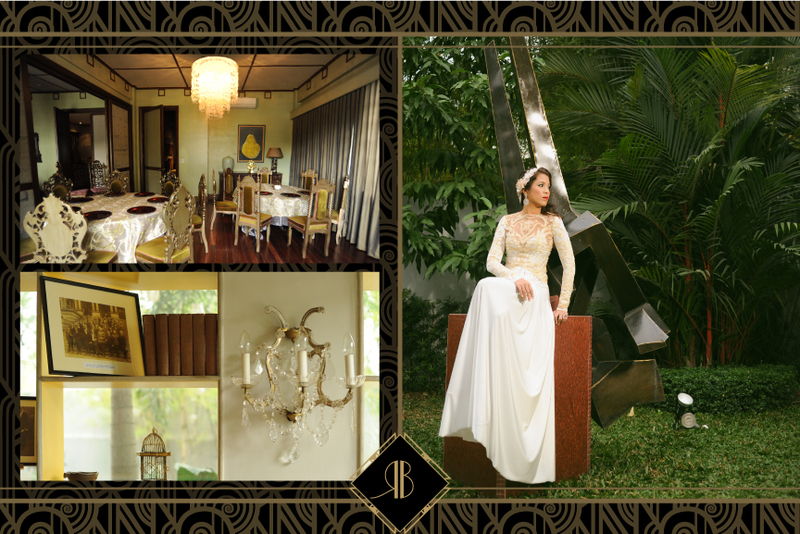 You don't get that vibe in Casa Roces because of the modern twist in the interior designing. Some will argue that this kind of venue will isolate guests if they are placed in their own nook. But let's not fool ourselves shall we? All wedding guests don't know each other. If they could be sectioned into their own different groups from family, friends, to colleagues, they would feel much more at ease and would feel more comfortable to be themselves. As the couple it is your duty to go around, sit down, and talk with everyone anyway. You are the host after all. If you must have a program that you want everyone to see, you can easily converge in a common place before or after lunch/dinner. Instead of thinking of this as a hurdle, think of it as an opportunity to be creative with your reception ideas. 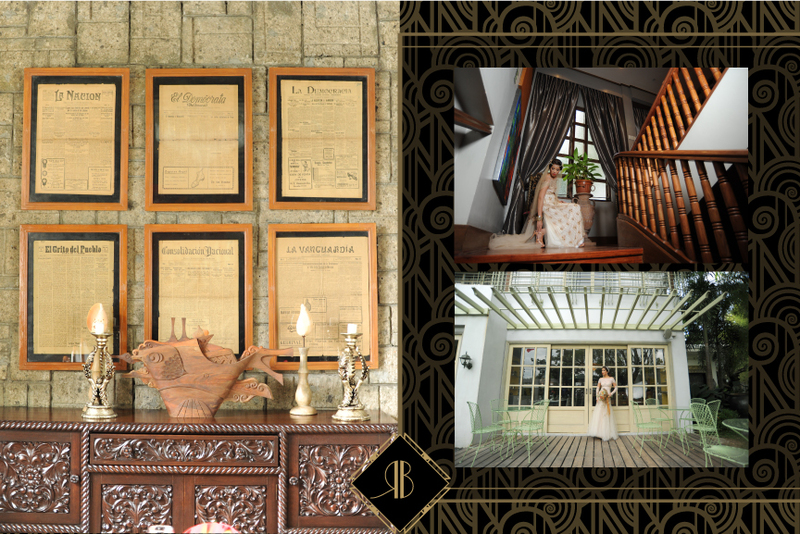 Casa Roces has long been the "best kept secret" of politicians, celebrities, and low-key prominent families. The President himself frequents the place. There is even a small function room that is fondly called the "Dingdong-Marian" room because the famous celebrity couple once had a Valentine's date here. Find out why this place charms a lot of people. I for one am not fond of going all the way to a far-off place just to have a meal--but this is one of those places that's worth the visit. 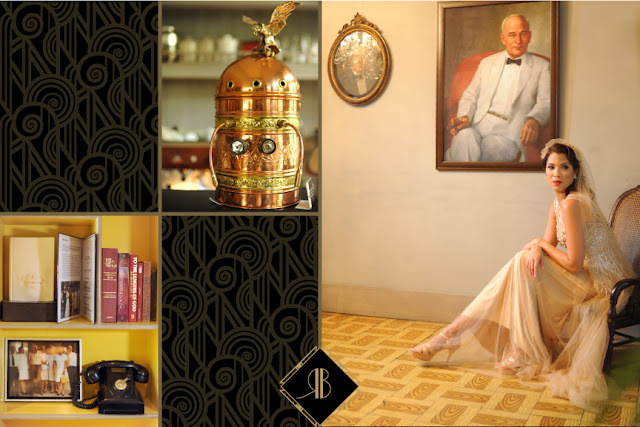 When we first thought of a Gatsby Feature, my immediate thought was Casa Roces, and no other option was an option. 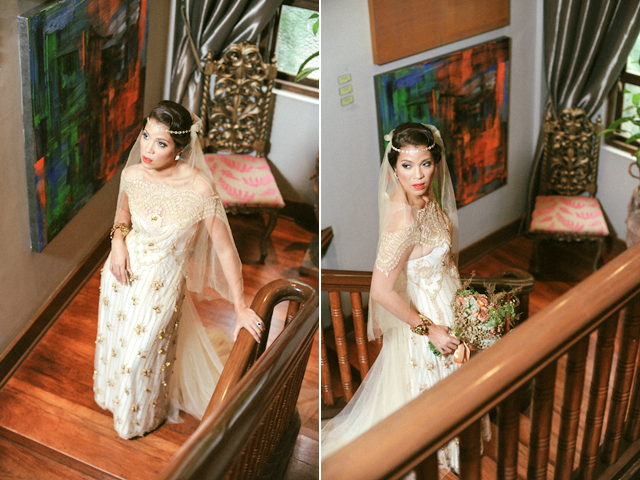 I like the blog as it is dedicated to wedding. I really enjoyed your blog. Keep sharing such stuffs like this.